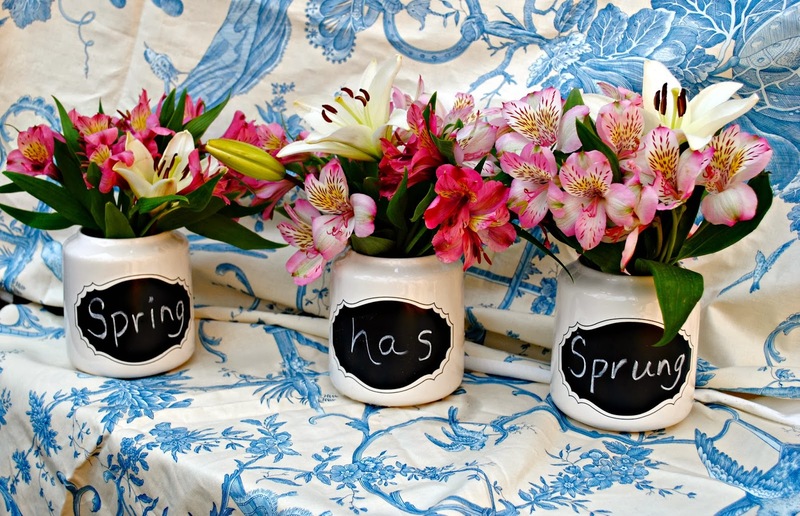 One of my main go-to party decor elements is always flowers. I just can't quit them.You can typically find them in my house too, because what else can you buy for $10 bucks at the grocery store that brightens up a room like flowers do? Maybe cheese now that I think about it...but I digress. 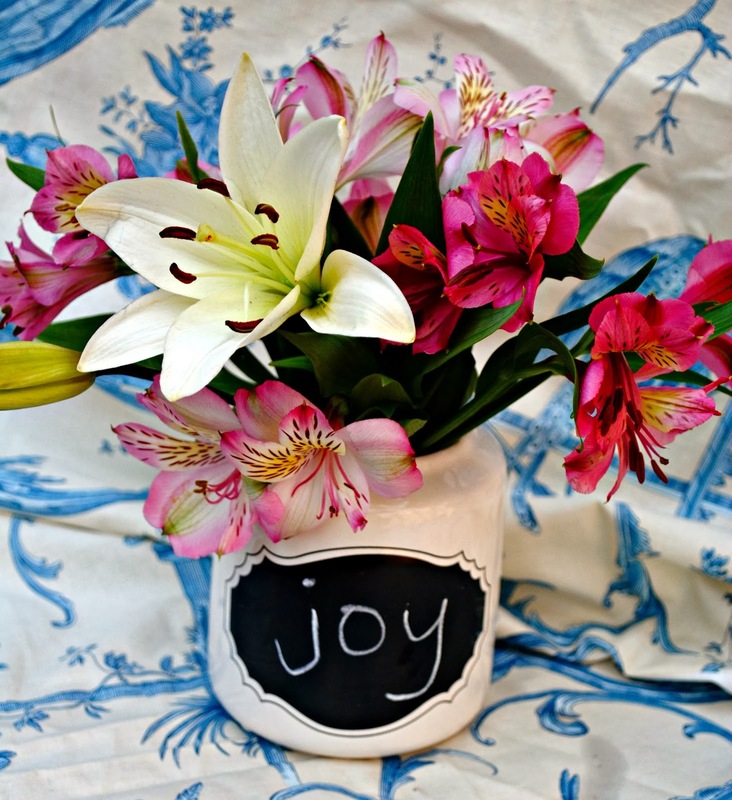 I also love using flowers in non-traditional vessels, meaning in other containers besides just a plain glass vase. 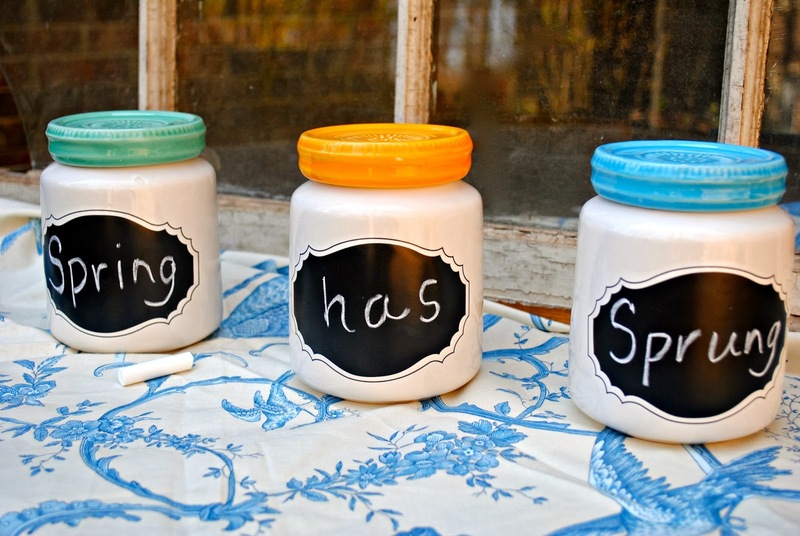 So when I saw that craft store mecca Michael's had their chalkboard containers on sale for 50% off (holla!) I scooped them up to create a different take on flowers. 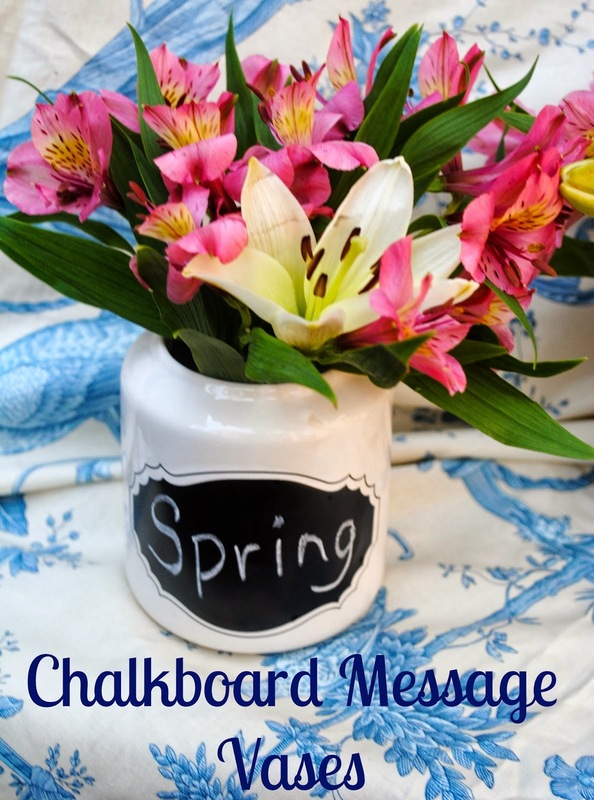 Combining fresh flowers AND chalkboard messages? This makes me happy. 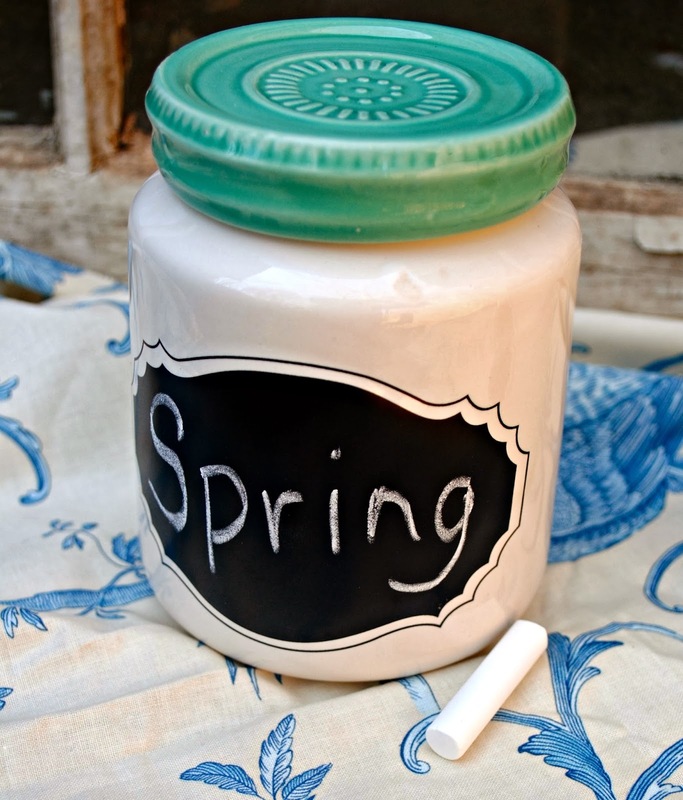 And yes, usually these containers are used to store kitchen items like flour and sugar, but I'm here to tell you that you can use these containers for flowers. Because this is America. And if you want to use a container not traditionally meant for flowers to hold your flowers, well you damn well should. If I don't fight for these important issues, no one will. 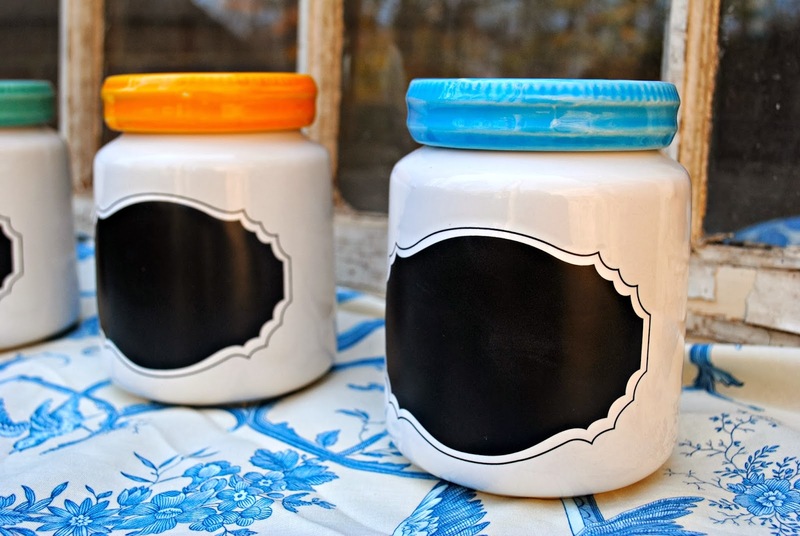 These are the containers I'm talking about. Aren't they adorable? 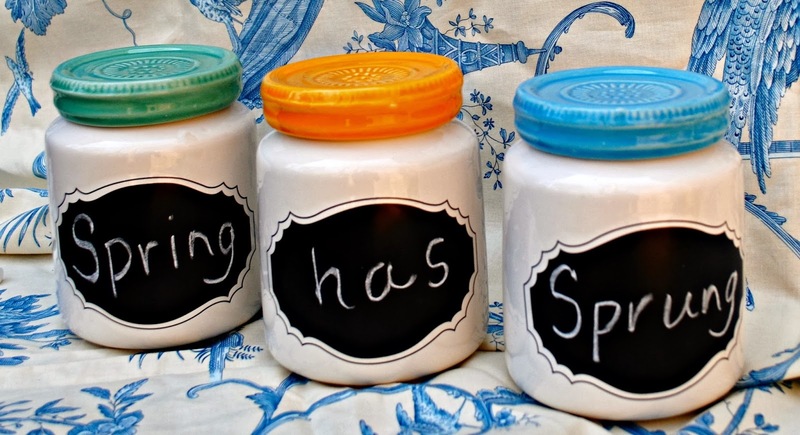 Specifically, the message is that spring has sprung. Not quite in reality, but we're getting there! How adorable is this arrangement? 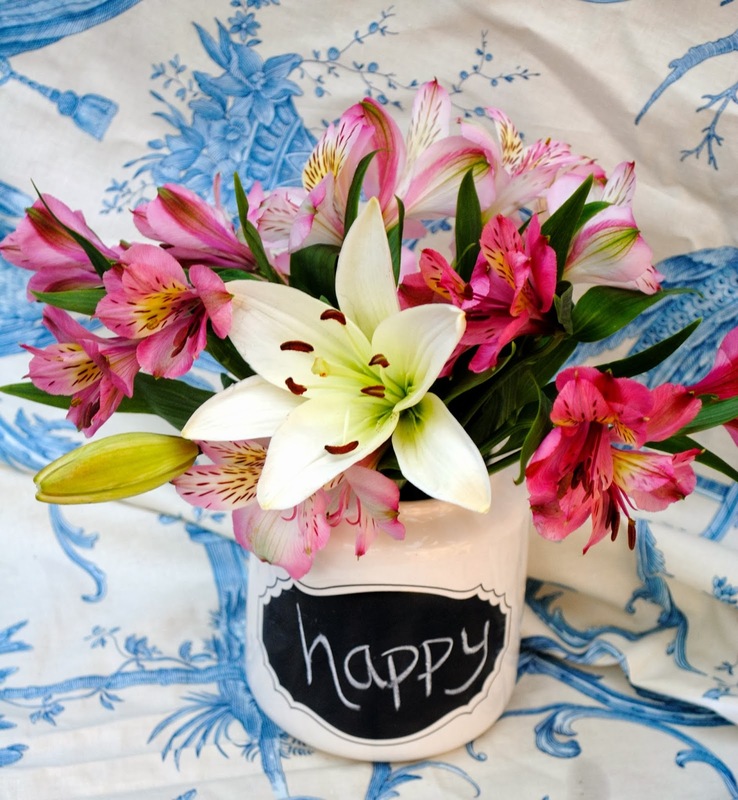 The pink flowers are alstroemeria (which last forever and are super cheap) and lilies - which to me smell ah-mahhh-zing and truly embody spring. 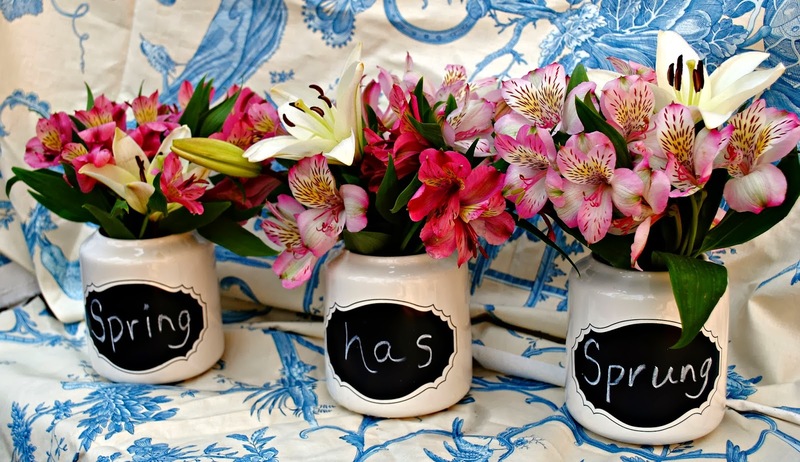 So whatever you're in the mood for, say it with chalk and flowers! If you're interested in a regular blog series on flowers and ways to arrange flowers in simple/non-traditional ways, leave a comment and let me know! I'm thinking about doing a "Flower Friday"
series to showcase my flower obsession and make sure I always have an excuse to have fresh flowers in the house. This is hopefully one of many positive changes to my blog I'll be making in the near future - but you'll have to wait to see what I'm talking about! Wink, Wink. As a fellow flower lover, I could definitely use some "fresh" (hehe) weekly ideas for arrangements! Bring it on, Flower Friday! are those containers still at Michaels?? Totally want to buy them! And how excited are you for APRIL 4??!?! 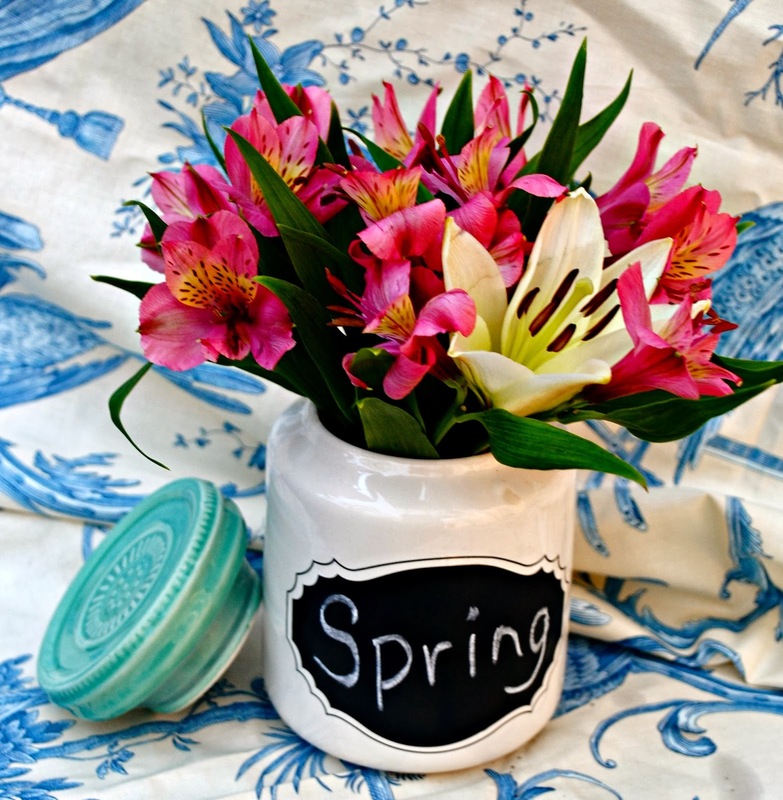 That is the day the Kings Farmers Market opens up for the season which means the best $10 flower bouquet!